After a relatively dull war of attrition, the Kramnik – Radjabov match exploded into life in the tie-breaks, and particularly the incident-packed blitz games. The post-match press conference was unmissable, but was conducted in Russian. Here then, is an English translation of what they had to say. The high-resolution video feed on the Russian Chess Federation website has been one of the highlights of the Candidates Matches in Kazan, but has the one huge drawback of only being available in Russian. 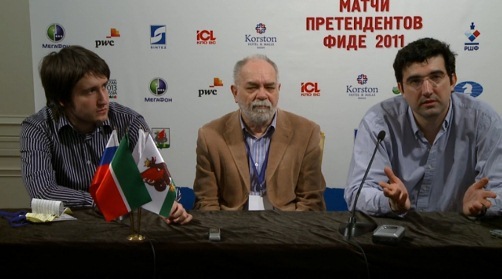 Yesterday, for instance, non-Russian speakers missed Ilya Levitov (RCF President, FIDE VP and appeals committee member) explaining the clock malfunction shortly after it happened, or a commentator spotting the match-ending perpetual a move before Radjabov allowed it, and then (half-)shouting “perpetual check!” when it was played. The greatest loss, however, has been the post-match press conferences. It’s true the players haven’t always been keen to speak (Kamsky and Topalov literally spoke only a couple of sentences between them some days! ), but usually they have. 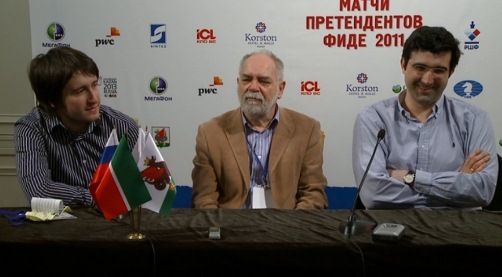 We’ve had the strange spectacle, however, of Boris Kutin opening the conferences in English, players like Gata Kamsky and Levon Aronian starting to talk about the games in English… and the journalists present insisting they switch to Russian! Vladimir Kramnik and Teimour Radjabov have been among the most vocal, and it certainly wasn’t any different after the match was over. In fact, while Kramnik was clearly exhausted, Radjabov, rather than being shattered by defeat like Topalov, went into enormous detail about the tie-breaks and match as a whole. I couldn’t always follow the chess analysis he reeled off at great speed, but between them the players gave us a real insight into the match. There were some vital details e.g. the fact that Kramnik offered a draw in the third blitz game he went on to win, and they also cleared up what actually happened during the already infamous clock malfunction incident. I won’t try and give my own account of the tie-breaks, as you can find an excellent summary at ChessVibes, but I’ve included all the day’s Kramnik – Radjabov games in the viewer after the press conference. Kramnik: (21:02:30) The match was extremely tough. I’ve got no energy left at all, so it’s a good thing there are two rest days. It was a completely even match overall. In the end, of course, it was just luck that decided things. I ended up luckier. The match was completely even, but someone had to win and someone had to lose, and it turned out I won. We both fought very hard, the struggle was fierce, and again, I repeat, I was simply luckier. Of course I’m happy, but on the other hand I understand that to be in Teimour’s position and lose such a match is extremely unpleasant. But that’s life. What can you do about it? I want to congratulate him on his good play, and good preparation. That was one of the toughest matches of my life so far. I can see Teimour’s made really serious progress, that his preparation was excellent, and he’s improved. He’s perhaps one of the very toughest opponents here. I understand and sympathise, because it was almost there, he was on the verge of winning, but what can you do, that’s sport. Radjabov: (21:03:54) Yes, thank you, of course, for such an assessment. I’m glad that my small contribution to the Queen’s Gambit has been noted. (smiles) When I got to that position with rook and bishop against rook and bishop [in the second blitz game] I honestly already felt as though something unpleasant was going to happen, that success was slipping away. Radjabov has just played 38. Nf5-h6! In the first game it’s clear there were a lot of mistakes, objectively speaking, but I found the beautiful idea of 38. Nh6 and 39. Qe5. Radjabov: We only had seconds… I also thought the same. I was looking and looking. When I went for Nh6, of course, I had to have seen Qe5. Otherwise why give up the knight? If you took on f6 with the rook, maybe there’s something… but ok, that needs to be calculated. That’s a different topic. So then, it seems to me I played the first game well, from a practical point of view, and in terms of calculation, given that it was blitz. While the rapid was a bit like boxing. Who’ll land a punch, or allow one through, but I think we played relatively accurately. After the first rapid game, in which I don’t think I had a very pleasant position, to put it mildly, there was some piece play and maybe Nxf7 worked. But I’ll leave that for people to analyse. After that I think the blitz was very interesting. I gave everything at that point, and the match was practically won when I got to that rook and bishop endgame… but then I moved the king the wrong way, no doubt, advancing it i.e. on f6 it gets into a mating net. That wasn’t very practical. Maybe I shouldn’t even have taken the b-pawn. But anyway, of course it’s a little tricky to analyse blitz. In the third blitz game Vladimir Borisovich offered a draw at some point. The position really was approximately drawn, but it simply seemed to me that there were still some variations in which I could press. Something on the e-file with the rooks. After a pair of rooks were exchanged it was a little tough to play, because the rook can always get to e6 and the d5-pawn fixes Black’s whole queenside. I made a couple of mistakes there towards the end, of course. I probably held back a bit and should have played Kh6 sooner, and Rf5 to take on d5, getting rid of those pawns from the board. The position’s probably drawn. Radjabov's hand was shaking as he thought about 60. Kf1 - he played 60. Kh1 with 4 seconds remaining! In the last game I had certain chances. At the end, to be honest, after 59…Qe3+ I could probably have played 60. Kf1. i.e. I think you need to calculate 60…Qf4 61. Qxf4 gxf4 62. Kf2 and then in a situation where Black can’t afford to lose it’s not pleasant to have Kf3, Kg4 takes on h4. Is the king in time to get to f5 or not – that’s not great either. It seems to me such a position is already won for White, more likely than not. Although perhaps 60…Rd8 61. d7 Qe5. Well, maybe it’s not objectively won, who knows. In principle Black can just stand still. I don’t know. Maybe there’s no progress. 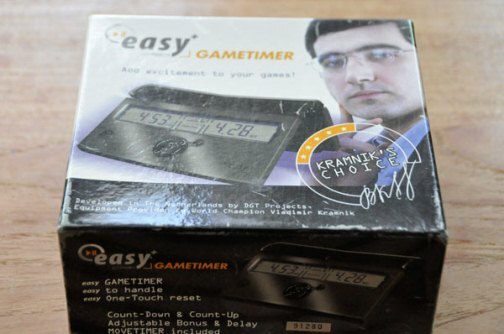 Kramnik: (21:07:00) There were seconds left. Anything could happen. Radjabov: Yes, you’re playing on instinct. Overall, it seems one game decided a very tough and complex match. There were some 25, 27-move draws, but they don’t actually tell you anything. Almost all of the play was at home, i.e. we kept looking at all the main lines, constantly booking up on something. There was an enormous quantity of variations, different branches which Black can go for, or where White can try to apply pressure. Everything had to be looked at. A very, very large amount of work was carried out, I think. And overall we ended up with an endless number of Queen’s Gambits, it was almost Capablanca – Alekhine (smiles). I don’t know who I’d be in that case. But 1. d4 d5 2. c4, e6 is something I’ve only seen in recent times in games by Anand and Topalov, and generally it’s an opening from the old days. Well, the Kasparov – Karpov match, of course, but lately I don’t think it’s been seen at all in that quantity. Because almost all of our games, all eight games, well, there was one Catalan, but the other seven were Queen’s Gambits. So we really got into the opening. Kramnik: (21:08:18) We advanced theory. Radjabov: Yes, we advanced theory a little. Of course it wasn’t pleasant. Of course I wanted to win, and I had real chances of doing it, after the first blitz game, but such a painful loss seemed to be a turning point in our play. Maybe if I’d agreed to a draw in the third game there’d have been a chance. But it’s senseless even to analyse it. It’s blitz. There’s a lot at stake. The greatest possible tension. It’s nerve-wracking for both players, which leads to mistakes that you probably wouldn’t make when playing a blitz game on the internet. But at some point nerves told, particularly in the last game. Black had a draw, with 37…Qxe5+ instead of 37…Rc8. Black’s even better, with Rd6 to come after that. Kramnik: (21:09:06) Yes, I wanted to force a draw. I thought 38. Qd6 Rc3+ 39. Kh2 Rxh3+ 40. Kg1 Rh1+ and draw. But then firstly, maybe it wasn’t a forced draw, and secondly, maybe there was an easier way of drawing. But I wanted to make a draw so much. Well, it’s hard to comment on anything at that point. There were nerves and fatigue, and don’t forget how tough the schedule was i.e. we’d played for five days in a row, and today was the toughest of matches. So we were very tired, or at least I was. By the end I was playing on will power alone, as they say. I was so tired I could hardly think. Well, I could think a little. Kramnik: (21:10:05) It stopped working at some point, after a move, I don’t know why. I’m not sure what should be done in that situation. I asked them to read the rules and do whatever’s in accordance with the rules. In fact, it didn’t seem to be clearly written anywhere, or rather, there are rules for classical chess, but for blitz it doesn’t seem to be clearly written what you should do in that situation. So I don’t know. On the one hand, the position was objectively drawn. But I considered the circumstances were working against me (though it didn’t turn out that way), as it meant that while the clocks were stopped you could of course try and think a little. That’s natural, no-one’s fault. I simply wanted to know the rules. I asked… but it seems there’s nothing that’s clearly written down. The principle, or spirit, seemed to be that you have to continue the game, with the same times. So we continued. Apparently they used the wrong clock! Radjabov: (21:11:09) It was immediately 0:00 there. Kramnik: The display just went blank. You couldn’t see anything there. Radjabov: It was visible, but just two zeros. Kramnik: Yes, just zeros. I’d never seen that before. Kramnik: (21:11:26) I don’t know what usually happens. That’s my first time. I don’t know why it suddenly broke. And after that I didn’t think I had a single chance, because the position was drawn. I felt my only chance was because we were in the last seconds, there might be something fortuitous. When there was a break it really seemed as though it would kill me off completely. But as it turned out I simply got lucky, of course. It was a strange situation. Radjabov’s asked for his view. Kramnik: (21:12:26) I don’t play blitz that often, so I think that’s the first time for me that it simply disappeared. Even in that blitz tournament there were some problems with the clocks but I never had a situation like this where they simply broke. Though everyone there was hitting them hard. But ok, it happens. For me, of course, it was unpleasant news – that’s how it seemed to me, though in the end I got lucky. But on the other hand, I don’t know, maybe the clocks need to be improved so they don’t break. A question on how the time remaining was established. Kramnik: (21:13:05) I didn’t see. The arbiters put it back, they probably saw it on the cameras. I didn’t see at all how much time there was at that point. I think they compared it with the camera, probably. Or the arbiter had seen. We didn’t have time to look. I don’t know how much time was left. Radjabov: (21:13:26) 21 to 12 in White’s favour. That’s what they put there, and that’s what it was. It was such a position that to be honest after Bc2 I don’t know if, say, 5 seconds would have made a difference. I couldn’t see how to play after Bb3. Radjabov: (21:13:59) Well, he’d have seen Bc2, more likely than not. Kramnik: Well yes, that’s how it worked out, but if Teimour hadn’t made a mistake then the roles would have been reversed. Any professional will tell you that objectively it’s in favour of the weaker side, 100%. It’s another matter that it didn’t work out that way. It’s absolutely obvious that it wasn’t in my favour. I was very unhappy about it, and there were witnesses. I thought that deprived me of any chances whatsoever. Kramnik: (21:14:37) I also doubt your objectivity (smiles). So why don’t we leave that question. Kramnik: I also doubt your objectivity! A question on the format of playing so many rapid games, and then blitz on the same day. Kramnik: (21:14:57) Well, I consider 4 games is normal. Of course two would be better, not so tiring, but four for such a serious match… We want to reduce the element of chance. From my point of view it was normal. There were various opinions. Radjabov: (12:15:17) About the regulations? They were normal. Well, you have to fight. All the people came to fight for an important title, to get to the top. You have to work. One game a day and two days’ rest. It’s a very normal schedule, absolutely normal. Moreover four rapid games isn’t the same as four classical games in one day, as Bronstein suggested, for example. Or what was it that was recommended, eight rapid games at the same time. There were various opinions. But I think in principle the regulations were normal. I don’t see any problems, especially as there are then two rest days after the match. You were very close to victory. How much did the clock incident affect you? I’m trying to take a straightforward view of it. Yes, I really was 5-10 seconds away from the next round. But what’s the use of thinking about that now? The first blitz game really went well for me. It improved my mood, and in the second game things were also going in my favour. Well, and you know exactly what happened next. It worked in your opponent’s favour? With all due respect to Kramnik, the incident worked more in his favour than mine. You can spend a long time debating it, a long time talking about it. I think I did everything I could. I can’t say my play was terrible. Moreover, I sensed victory. I was simply unlucky. After the incident with the clocks everything went awry. It was just totally bad luck. This fact screams the journalists are morons. Thank god we have you for to cover for their mistake! You are a treasure, Mishanp. Thanks a million! Outstanding job as usual Mishanp. Amazing stuff, just what I was hoping for, you’re treasure for the international chess community! A thousand thank you’s ! where does radjabov get the idea that the clock malfunction only worked in kramnik’s favor? for a while it seemed like vladimir borisovich was trying to capitalize on the fact that his opponent was low on time, and the clock stopping allowed teimour more time to think about the position and find a winning line. 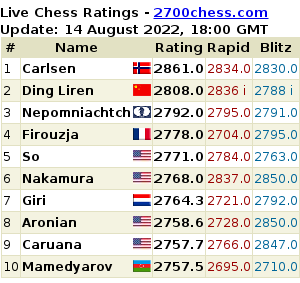 it’s not as if though kramnik was able to analyze what to do while teimour was forced to stop thinking. people who dislike kramnik will just use this as an excuse for why radjabov lost, but the real reason he lost is because his nerves and his hands were not up to the task. that’s chess, and that’s blitz. Thanks mishanp, but also thanks Kramnik and thanks Radjabov (except for the follow-up interview at Azerisport). As to press conferences in Russian, I find it relatively normal for an audience of Russian journalists (who may not all be fluent in English). If a foreign (“non-Soviet”) journalist had asked a question in English, I guess it would have been OK to answer in English. But was this ever the case? Are there _any_ western journalists at the venue? On the language issue: it’s understandable they’re using Russian given all the players are fluent, they’re in Russia, and, as you say (Thomas), it’s quite possible there aren’t any non-Russian-speaking journalists present – but then why does Boris Kutin open the press conferences in English!? It’s all very odd – unless the original plan was to use English. AuN1, to be fair Radjabov doesn’t say the break “only” worked in Kramnik’s favour, but “more”. And that does seem to have been the case in practical terms, though I tend to agree with Kramnik. The extra time should have allowed Radjabov to work out what to do against the threats – but then just imagine the pressure he was under! Plus the uncertainty over what was going to happen next. Again and again great thanks to mishanp for the translation! I have finally found time to watch the press conference video and I am impressed with mishanp getting what Radjabov was saying. TR was talking so fast that I barely understood a few select passages, and I am supposed to understand Russian. Also, the civility of both players during the conference was refreshing. I think the boxing part is related to rapid. He starts talking about Blitz (very quickly) and than says something like “this is related to Blitz, of course. Rapid was more like boxing …” only to say some more sentences regarding rapid (all this in parenthesis – really hard to follow) and later returning to Blitz (if I remember correctly – can’t replay it right now). The Kramnik – Radjabov press conferences were by far the most interesting. In contrast Kamsky – Topalov was more cartoon style. I don’t know how to say it in English (in German we use the term “Beamtenmikado” related to the game pickup sticks. Never make the first move – then you will lose – or here rather never say the first sentence ;-)) Unfortunately it is very hard – at least for me – to understand the questions in the videos acoustically. So I don’t know because of what question Kamsky simply raises his eyebrows, doesn’t answer and asks Kutin whether it is enough with this press conference (after very few questions). 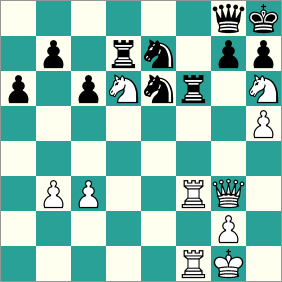 Back to Kramnik – Radjabov. You know Kramnik as eloquent and outspoken. It was the first time I’ve heard Radjabov and really liked the way he commented on the games, even after the really unlucky defeat. I don’t think the Azerisport.com interview is that bad either. I have to add that Shipov in his daily video disagrees with Kramnik on the clock incident too. While Radjabov is signing some posters (seemingly it takes forever) we see Kramnik all the time – maybe a bit displeased because he couldn’t win another game with white and maybe a bit impatient ;-) But the press conference that follows is as interesting and enjoyable as always. Thanks! You’re right – the boxing play was about the rapid (I’ve changed the text slightly). I was distracted by that first blitz game having been something of a punch-up, I think, though Radjabov was thinking of the players circling each other trying to find the right moment to strike. As you say Kamsky – Topalov was always fun. In the last press conference Kamsky was asked to start but still asked Kutin, “why me?”. The reply was, “because you won!”. Or Aronian and Grischuk on Sunday – Grischuk had apparently been ordered by his team (Svidler and co.) to win by such-and-such a time in order to be able to watch Man Utd – Chelsea. He said he at least managed half the task (a quick draw). Asked why he didn’t keep playing with the white pieces he said something like, “my bishops and knights don’t become stronger just because they’re white”. (I didn’t actually watch the conference, but that’s how it was reported in the Russian press). That’s what I think too. It’s a nice picture to describe the first 8 games of this match. i guess translating from a video is more painstaking than translating from a written article?? do u have to replay to catch every word, or do you just translate the gist? And great sportsmanship from two great players. A real pleasure to read. I don’t think it unusual that most of the press conference is in Russian, but I bet most of the internet audience would prefer it not be the case. It would be nice if the players were asked briefly to summarise the game in English. I too have been kind of annoyed at them stopping them speaking English, especially as the pre-interview chit-chat is in English. It sort of rubs it in. But the video presentation is so great that you don’t need so much more to understand what was going on (it was very clear there was a clock malfunction for instance). It isn’t a big deal but out of politeness just throwing a bone to English speakers would be considerate. After this raising the bar so high, can anyone running a world title match go back to single webcams? Although I am surprised that a roving cameramen around the boards hasn’t caused distraction to the players. Not to be underestimated is the actual quality of the signal, the ability to slide back and forth during play, it hardly ever hangs either, that is also a technical wonder. So the tiny language issue aside, “Bravo!”. In my opinion, the decision to conduct the press conference in Russian was completely justified in this particular instance. 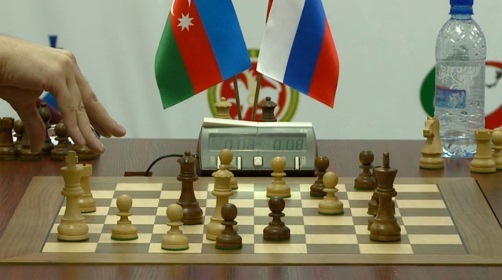 All the players (with exception of Topalov) are native Russian speakers, the most of journalists present (if not all of them) are Russian or (if they are from Azerbaijan, for instance) can understand Russian very well – and most of them can hardly understand English at all. Perhaps, the only person in the hall who was not able to understand Russian was Kutin who’ve been behaving very passively throughout the event. How on earth did such an incompetent man end up in such a position? Perhaps, because he’s “a dignitary” and that job was assigned to him to justify his paycheque. Of course, one can have players speaking in English and provide live translation but in this particular instance it’d look strange and awkward. Moreover: Radjabov and Kramnik know English well enough but they are not Peter Svidlers, and their press conference was so interesting exactly because they’re speaking in their native language and thus were able to express all the emotions and that noticeable feeling of immediacy.